Dating back to 1968, Calvin Klein is an iconic all-American label that has been at the forefront of contemporary fashion for over 45 years. 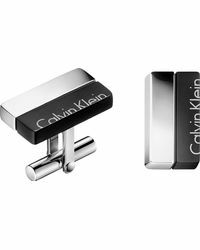 From trademark underwear to outerwear and sharp tailoring, the brand is renowned for its modern minimalism, clean aesthetic and sophisticated designs. 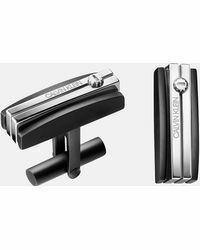 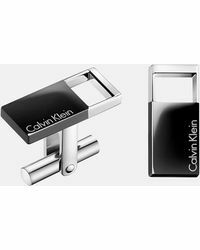 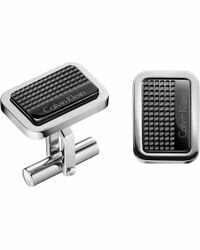 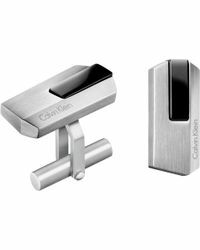 Bring directional flair to smart ensembles with men's Calvin Klein cufflinks. 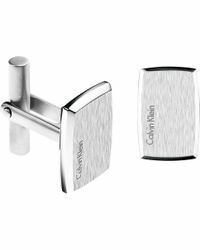 These stainless steel pieces will lend formalwear a polished finish, perfect for the modern man with an eye for style.